The Liberal High School soccer girls dropped their opening round game of the Wichita North Cup 3-1 Monday evening. Wichita Heights beat LHS 3-1 at Wichita Heights. 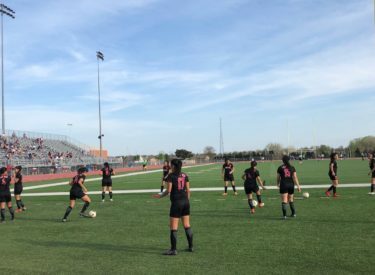 Gisselle Melendez scored and Alondra Alvarado dished the assist. Liberal falls to 4-7-1 and will play at 4:45 Thursday at Wichita North Cup.